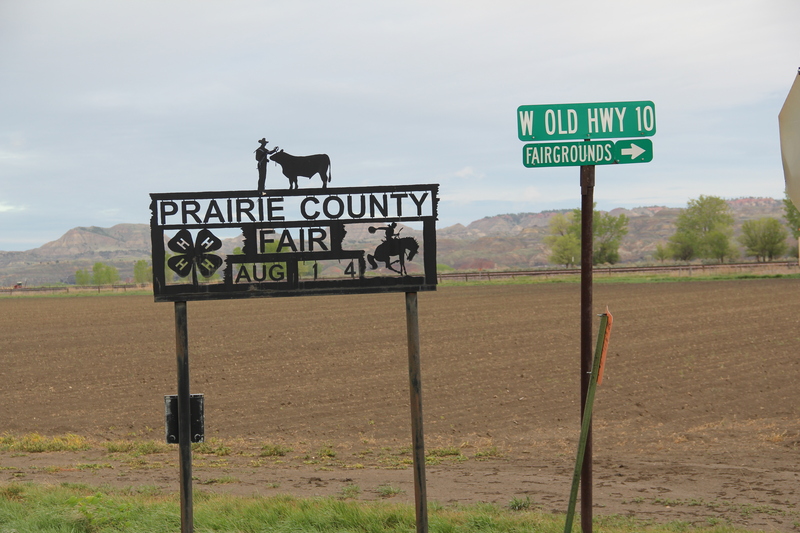 For more than 75 years residents of Prairie County have come every summer to Terry for the annual county fair. 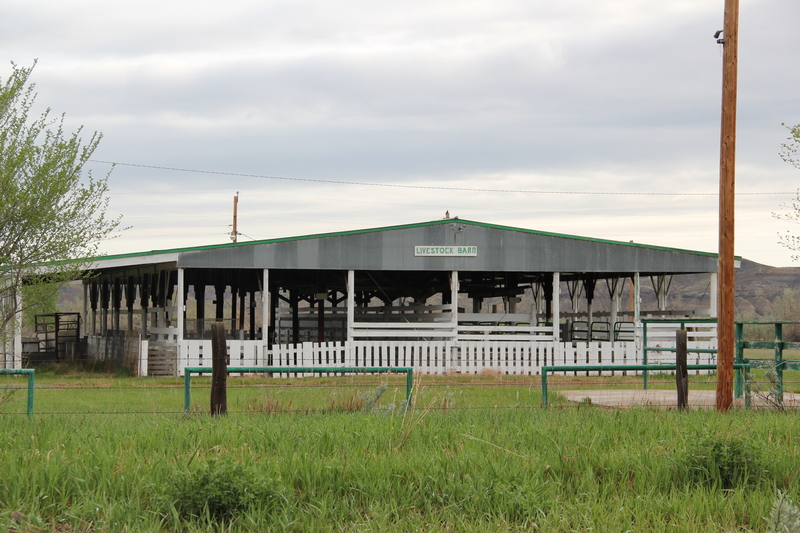 The fairgrounds are located north not only of I-94 but also old U.S. Highway 10 and then even to the north of that, along the abandoned almost disappeared railroad bed of the Milwaukee Road. The Milwaukee crossed the mainline of the Northern Pacific Railway at Terry, and entrepreneurs tried to create a new commercial corridor facing the Milwaukee tracks, which stood just north of the dominant route of the Northern Pacific. Those plans never panned out, except for the fairgrounds. 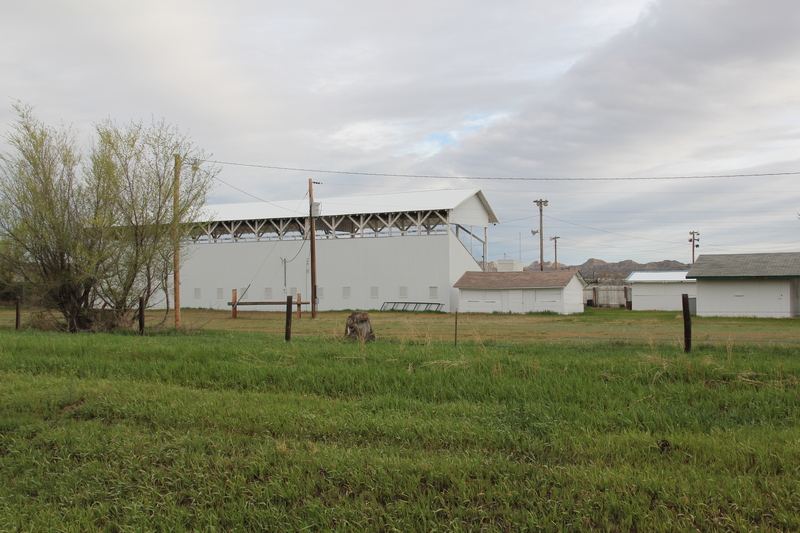 The barns, grandstands, and other buildings developed along the Milwaukee line and there they remain today. 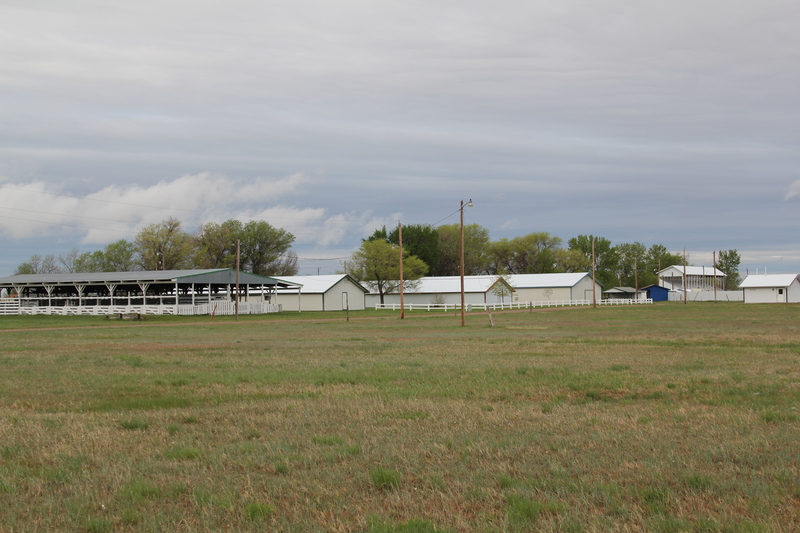 With its intact setting, the fairgrounds is actually now one of the few fully extant properties along the old Milwaukee line in this part of Montana. 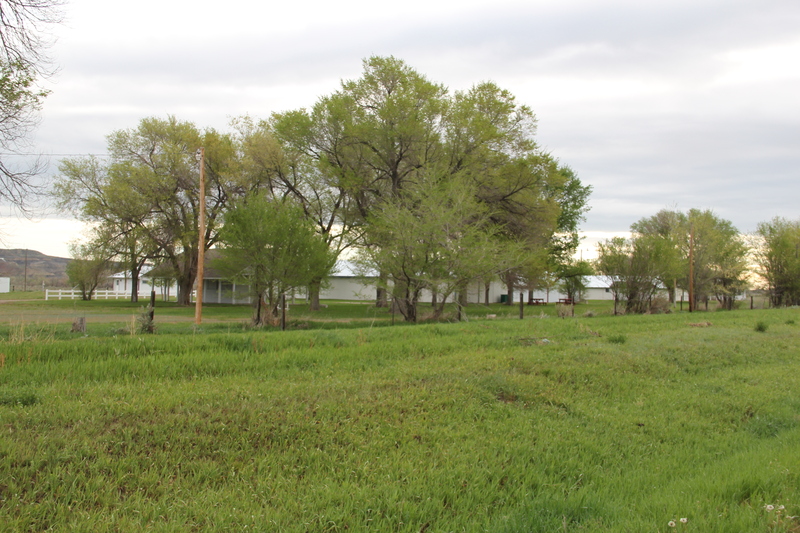 Like in other rural counties, the buildings are nothing spectacular but don’t let their plain, white appearance deceive you: here is the one of the most important annual community places in the county. 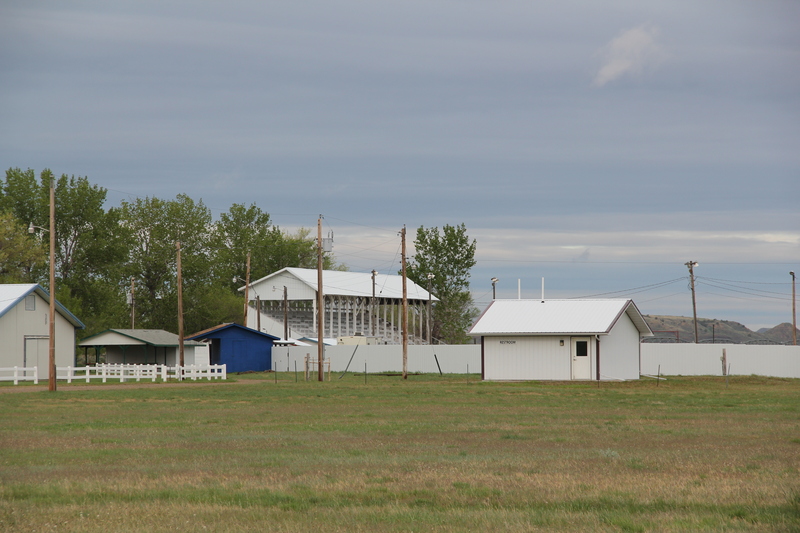 This entry was posted in Uncategorized and tagged Fairgrounds, Montana, Prairie County, Terry by carrollvanwest. Bookmark the permalink.